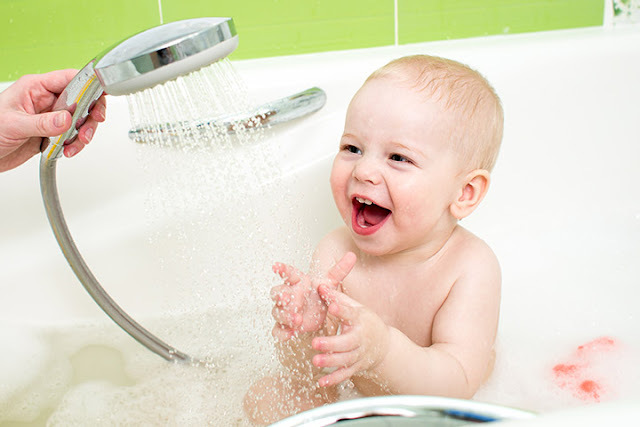 Most toddlers are quite fond of water; leave a bathroom door open and the chances are that you will find your little one basking in the joy of playing with water. Try to restrict the play and you will find a response involving shouting, crying and obvious resistance. But the whole game changes when it is bath time, especially when you need to give your toddler a hair wash. Hair washing can be a nightmare for some parents with your kid lashing out and throwing a severe tantrum when you try to clean the hair. But for hygienic reasons, hair wash is a must at least twice a week. So how do you make this tedious task a hassle-free chore and a fun experience for your child? 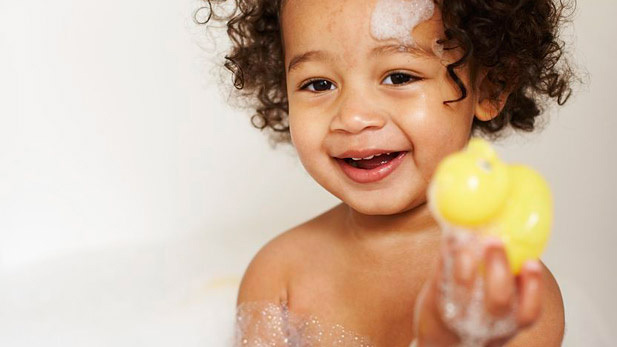 Read on to find some simple tips to wash your toddler's hair. When you take your toddler to the bathroom, bring along his or her little doll. Let the little one play 'mommy' and give the doll a hair wash. When he or she prepares to do it, you show them how it should be done, by massaging the head and forming the lather. This will take away the toddler's attention from what is happening to them and shift focus on the doll's hair wash. And you will have your opportunity to wash the grimy hair! It is very important to use a baby shampoo with a no-tear formula. 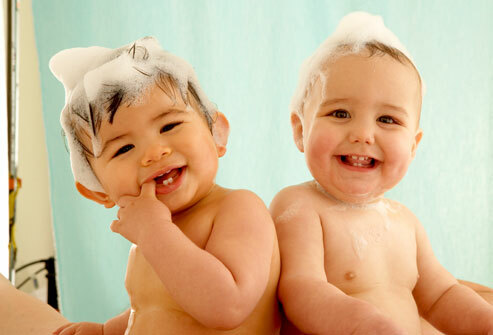 There are a lot of good baby shampoo brands in the market which are mild and do not have strong chemicals. These shampoos come with a no-tear formula that does not cause irritation or burning sensations in the eye. There are various hair wash accessories to help you win the hair wash battle against your toddler. Shampoo visors protect the foam from flowing down to the face. Fun swimming goggles protect the eyes from the soapy foam. Earplugs prevent the entry of water inside the ears. Mix and match these accessories to make hair washing a less stressful time for you and your toddler. If you pour the shampoo directly from the bottle to your kid's scalp, the sensation of something trickling down the head can cause unnecessary stimulation in your child making the toddler uncomfortable. Therefore, it is best to pour some of the liquid onto your palm and then apply it on the little one's hair. Some kids love the feel of gushing water while some like a slow flow of water flowing from head to toe. As a parent, you have to observe and understand what your child prefers to do and change the hair wash regime accordingly by controlling the flow of water. The initial days of hair wash will seem like a nightmare. But don't worry. With time, every child will learn to get used to the hair wash routine. If you get angry or stressed out, your child will not be able to have fun or be happy, and this whole hair wash thing will become a traumatic experience for the little one. And it will only add to your woes. So keep calm, have patience and eventually hair wash for your toddler will become a cake-walk. 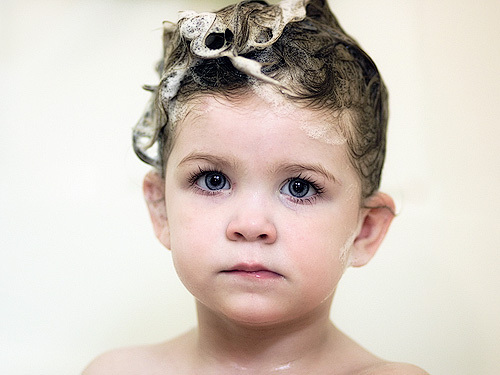 You don't have to shampoo your toddler's hair very frequently. 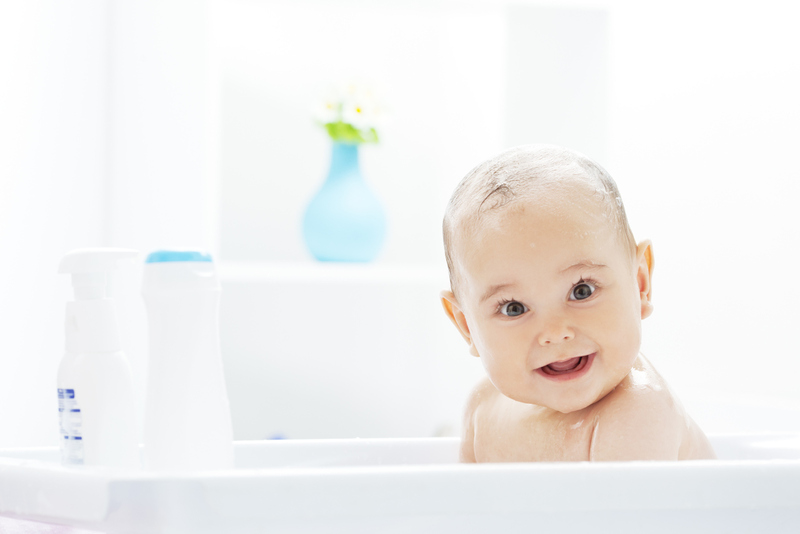 Let the child get used to the fun of bathing first. Once or twice every 7 to 10 days is enough to keep the hair clean and healthy. Wash it with water once every two days and brush it lightly to avoid tangled hair. With time, as your child grows up, hair wash will cease to be a tedious task for you. Now that you have all the necessary hair wash tricks up your sleeve, move ahead with the battle with a positive calm mind and wash off your toddler's hair with ease.